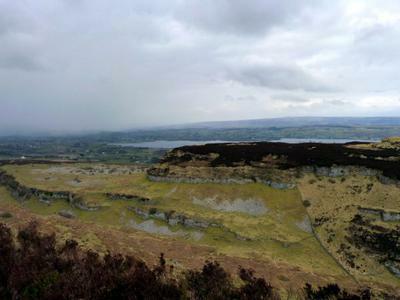 My favourite place in my old home county of Sligo is Carrowkeel. I moved away many years ago, but whenever I am close by, I make sure to make time for a trip to this magnificent Irish heritage site in a stunningly beautiful location on the summit of the Bricklieve mountains. The place is very special to me because my dad, a hobby archaeologist used to bring us up there when we were kids. We spent a good bit of our childhoods crawling in and out of these passage graves at weekends followed by picnics on the mountain with a Kelly kettle, biscuits and tins of tuna. 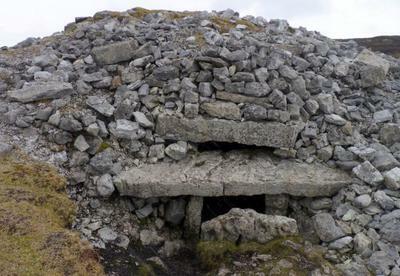 Carrowkeel, the major passage grave site in the West of Ireland, is some 5,000 years old. That means it is even older than Newgrange which is branded as the oldest surviving building on earth. Yet Carrowkeel is not that well-known. Often times when I go up there, there is no one else on the mountain. It’s a great, peaceful place to stop and contemplate. Some day when you are on the road from Boyle to Sligo, take a turn at Castlebaldwin which is signposted for Carrowkeel. Carrowkeel is no more than a 15 minute drive from there. Park your car when you get tothe first car park, and take the 20 minute walk up to the top of the hill. On a nice day, the views are spectacular from up here. You can see Lough Arrow and Lough Key, and the characteristic hill of Knocknarea in the distance with Maeve’s grave on top, and the Ox Mountains. The best cairn is cairn G which has a roof box feature similar to that at Newgrange, but this one is aligned with the summer solstice. Around that time of year, for about two months, a beam of sunlight appears in the roof box and can be seen from inside the cairn. On the plateau below which is called Doonaveragh, you can see the remains of around fifty Neolithic huts that more than likely were the homes of the people who built the spectacular passage graves. Walk past all the main cairns and look out for Poulnagcolum, the ‘hole of the doves’ a swallow hole where the mountain collapsed in on itself. There is a cave at the bottom we used to climb into as kids. These days, I’d only recommend it to the well-equipped visitor. Hi - I visited Carrowkeel recently and it is amazing. 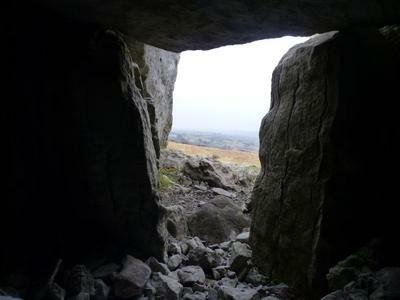 However, the passage at Cairn G faces west, so...the transom catches the setting - not rising - sun on the summer solstice. It's the exact opposite of Newgrange, which I think is really interesting. Join in and write your own page! It's easy to do. How? Simply click here to return to Your Ireland Travel Photos.